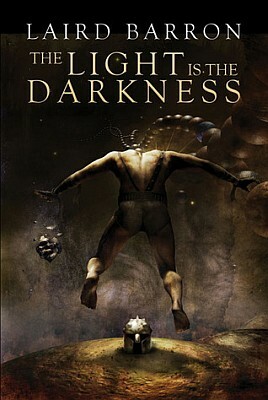 Laird Barron’s other debut novel The Light is the Darkness (2011) is, despite its slim length, a brutish beast of a book. Slightly overshadowed by its big brother The Croning (2012), this story of the modern-day gladiator Conrad Navarro inhabits a similar universe but does it in an even more audacious way. Conrad, the protagonist, is a lumbering mountain of a man, an übermensch created in shady experiments conducted by a seemingly undying doctor called Drake. Although prodigiously intelligent, Conrad’s made his fortune on an underground fight circuit called the Pageant, a brutal bloodsport for the entertainment of the ridiculously wealthy. Despite being the undisputed champion, Conrad is a morose man with a serious deathwish. But when his sister Imogene mysteriously disappears while looking for information on doctor Drake, Conrad’s moved into action. In the best Lovecraftian tradition, his search reveals hidden secrets about his own past and nature, culminating in a titanic showdown of the cosmic variety. All this is accomplished in a condensed, almost brutish style. There’s a manly pulp feel to the storytelling, most of the story is presented as is and nothing is embellished or lingered upon for very long. Barron’s ruggedly elegant language is as strong as ever, creating Cormac McCarthyesque fireworks of words and phrases. The character of Conrad seems to share similarities with some of Robert E. Howard’s pulp characters, such as the protagonist of the novella Skull-Face (1929), who also gained superior qualities thanks to scientific means provided by a seemingly undying man dabbling in the occult. There are some problems with the story; it’s slightly uneven at places, and many of the characters come across as little more than cardboard. Sure, it’s part of the pulp appeal, same as the somewhat convenient coincidences where characters literally step out of the shadows at the end of the novel, because, well, it’s the end of the novel. However, despite the pulpy edifice, there are always implications of something larger at work behind the scenes. The ideas are larger than the execution, and there are references to Barron’s other stories, creating a sense of an overencompassing mythology. It’s not as explicit as in the case of The Croning, but then again, The Light is the Darkness feels more like a one-off, an almost purposely exaggerated, testosterone-infused version of a Laird Barron story. And it’s not as if the other stories have been pussyfooting, it’s just that The Light in the Darkness raises all that has come previously to a new, outrageous level of its own. While The Light is the Darkness is its own thing, it also feels like a bare bones trial run on how to write a novel-length narrative. It expands the approach and themes of Barron’s short stories, with excellent interlude chapters providing depth to the otherwise linearly told story. While at the end The Light is the Darkness doesn’t quite pull things off as smoothly as The Croning did, it does throw some spectacular punches, some of them straight in the gut. With glee.